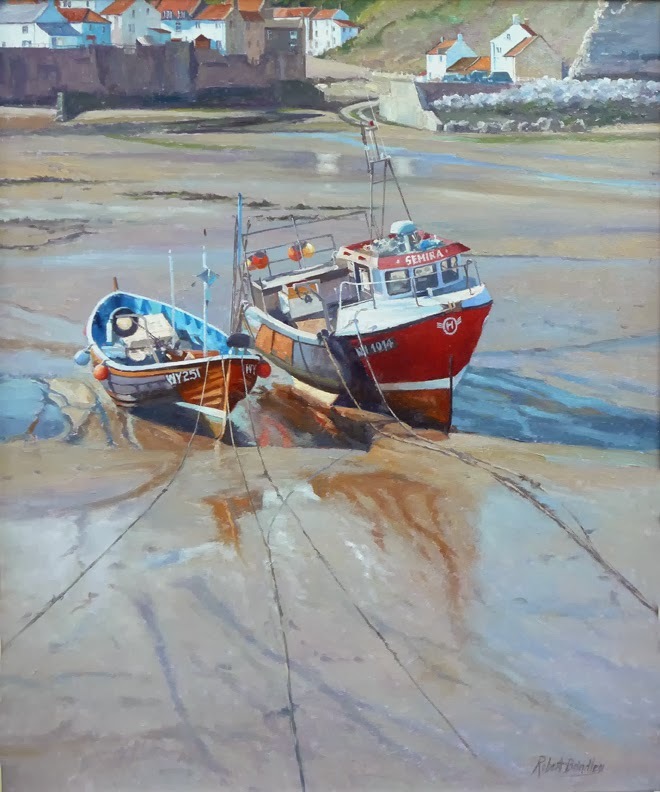 I'm very pleased with my latest oil painting of a study of two Cobles in Staithes harbour at low tide. Cadmium Red, Ultramarine Blue, Cerulean Blue, Lemon Yellow and Titanium White. I will be adding a 'Step by Step' demonstration of this painting to the demos page of my site over the next couple of days, so please call back.